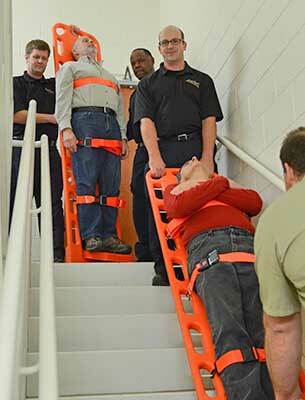 extricate patients in the supine position during mass evacuations? easily and respectfully remove the deceased? 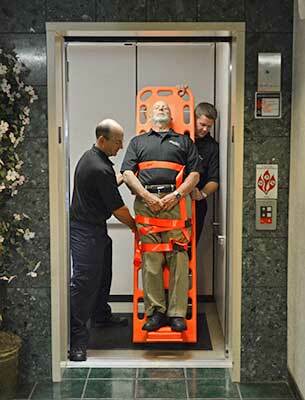 extricate a patient in the supine position in tight elevators? 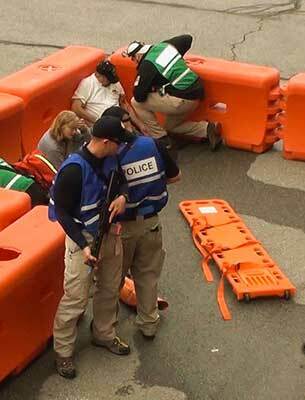 extricate a patient in the supine position during active shooter situations? 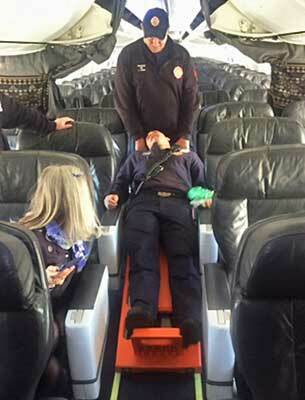 extricate a patient in the supine position from aircraft? 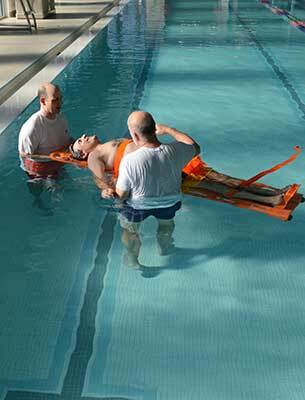 extricate a patient in the supine position from water? extricate a patient in the supine position from mobile homes? 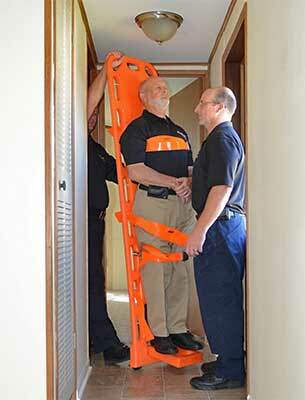 extricate a patient in the supine position from small bathrooms? Washington DC's Chief Medical Examiner office relies on the WauK® board for deceased removals. Brevard County, Florida — home of the Kennedy Space Center — adopted the WauK® board on ambulances county‑wide after field testing for 2 months. Miami-Dade County's Chief Medical Examiner uses WauK® boards for deceased removals. Fairfield Hose Co. moved a 550lb patient off the floor, into his chair, then to the ambulance. Chief Hawryliw said "we could not move this patient without a WauK® board." Butler County EMS Council in Pennsylvania adopted the WauK® board county‑wide. 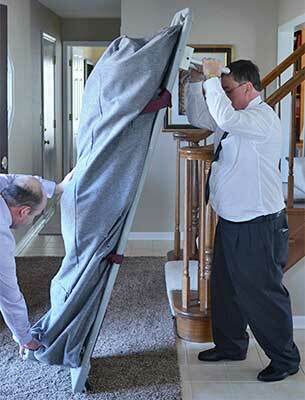 Milwaukee's Chief Medical Examiner recently purchased WauK® boards for deceased removals. The WauK® board is a dolly specifically designed for transporting people. 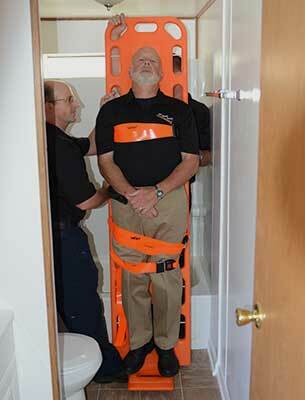 The WauK® board is a smart tool to use in stairways, tight elevators, mobile homes, aircraft, small rooms, water rescues, active shooter situations, mass evacuations, bariatric patient transport, removal of deceased, and anywhere you want to minimize back injuries while maximizing mobility. Roll, don't carry! 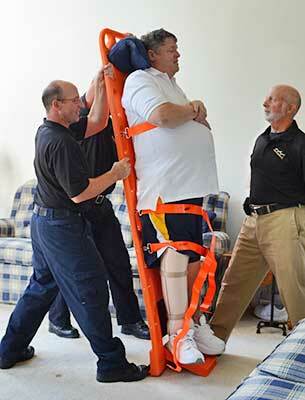 The WauK® board’s one-of-a-kind, patented design adds the functionality of a dolly to a conventional backboard, allowing a first responder to extricate an immobilized patient from tight, restricted spaces. It’s the ideal companion to a stair chair because the WauK® board allows rescuing patients that must remain supine (lying face up), without carrying them.